Originally from Romania, Dr. Surdulescu came to the United States to complete his residency in internal medicine at St. Luke’s Medical Center in Cleveland, Ohio and later specialized in pulmonary and critical care medicine at the University of Cincinnati. Dr. Surdulescu earned certification by the American Board of Internal Medicine by passing his board examination in 1997. He earned board certification in pulmonary medicine in 2000, critical care in 2001 and sleep medicine in 2003. Dr. Surdulescu has provided pulmonary and critical care services in the Lake Norman area for over ten years. He believes in offering individualized and preventative care in a cost-effective and timely manner. Dr. Surdulescu says providing on-site services and diagnostic testing such as pulmonary function testing, pulmonary rehabilitation and providing a CPAP clinic staffed by full time CPAP technician, are just a few of the ways Lake Norman Pulmonary helps bring the highest quality of care to our patients in the Lake Norman area. Dr. Surdulescu lives in Lake Norman with his wife and daughter. He enjoys spending time with his family, playing soccer and traveling. 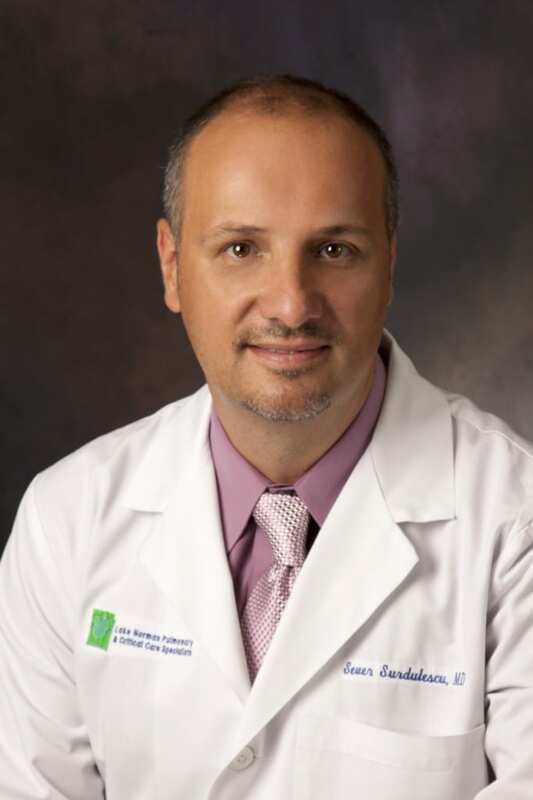 Dr. Tramontana attended medical school at Tulane School of Medicine in New Orleans, Louisiana. She completed her internship and residency in internal medicine at University of Kansas School of Medicine and her fellowship in pulmonary critical care at New York Hospital and Cornell University. When she’s not working, she enjoys volunteering at a local community clinic. 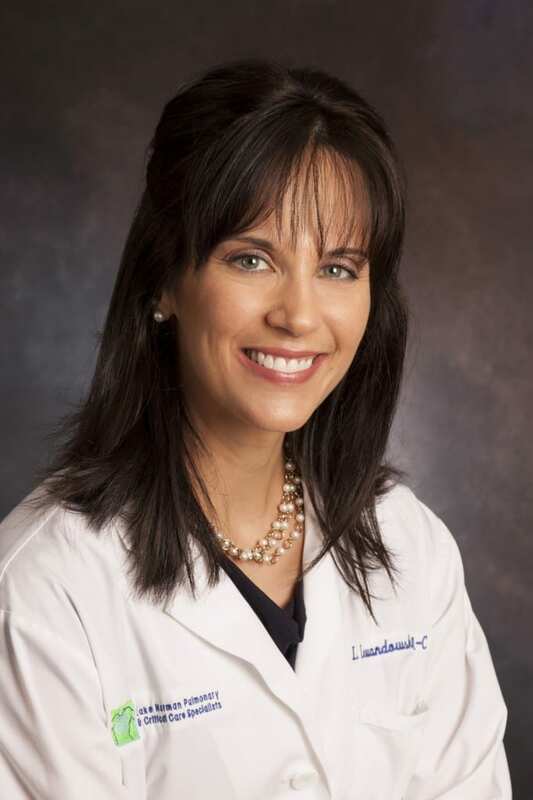 Ms. Lewandowski received her medical training and Masters of Science Degree at the Rosalind Franklin University of Medicine and Science in North Chicago, Illinois. She has worked as a physician assistant in pulmonary and sleep medicine since 2001. Prior to her certification as a physician assistant, she served the Veteran’s Affairs Medical Center in her hometown, Erie, Pennsylvania, as a registered dietitian in geriatrics and critical care. “Communication is the cornerstone of excellent medical care,” is Lesa’s philosophy, which includes active listening, education and integration with other medical providers. She enjoys working with patients in the community and feels privileged to be able to help them breathe and sleep more easily. Lesa lives in Lake Norman area with her husband and two children. She enjoys spending time with her family, cooking and yoga.